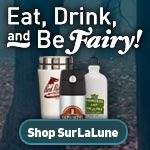 SurLaLune Fairy Tales Blog: Sort of Off Topic: Who Do You Think You Are? Okay, this is not directly fairy tale or folklore related, but I wanted to share it because I am finding so few people actually know about it. Currently, one of my favorite shows is "Who Do You Think You Are?" which airs on NBC on Friday nights right now. There is a new episode tonight. CNN had an article about it this week, calling it one of those great shows you aren't watching. Forget the "NCISs," the "CSIs" and even "SVU." The most suspenseful hour on television is "Who Do You Think You Are?" And it doesn't rely on bullets, blood or a Bieber cameo to deliver thrills. For those who haven't seen the show -- and hang your head in shame if you haven't -- this Friday-night NBC reality series follows celebrities as they discover their roots with the help of family members, genealogists and historians. Each episode of "Who Do You Think You Are?" packs more twists and turns than a week in the life of Charlie Sheen. Last season, Sarah Jessica Parker learned that her 10th great-grandmother, Esther Elwell, was involved in the Salem witch trials. But was Esther the accused or the accuser? First, a commercial! Vanessa Williams visited the National Archives to find out more about Carll and was not only presented with a tintype photograph of him in uniform, she discovered that he was born a free man: Asked on his pension file whether he had ever been a slave, he wrote, "Never." Anyway, I watched all of last season's seven episodes when they aired. See, I am an enthusiastic amateur genealogist. I even interned at a genealogical library in grad school. (It wasn't all fairy tales and children's lit with me.) I am the family historian and archivist, too. So I eat this stuff up. I had them all on my DVR and didn't erase them until I preordered the first season on DVD . The good news is that the show did well enough--and NBC is doing poorly enough--for this to have gotten a second season. To be honest, I could care less about the celebrity aspect although it does add a level of knowledge and foreknowledge going in and I guess is necessary to pull in more viewers. Personally I'd love to see the same with some not-so-famous people, too. Last season's episodes about Lisa Kudrow and Spike Lee were probably my favorites with Matthew Broderick of interest, too, since I am a Southerner and he visited places I know. As did Vanessa Williams for that matter--she walked through the Tennessee State Capitol, something you can do, too, if you visit the Southern Festival of Books in October. Now many of the full episodes are online on the show's site. They are free to view. The second season, best of all, learned from its mistakes in the first season and has only improved with less repetition and more thorough investigations. There is also a lot more history sharing in general which makes it interesting on a whole other level. I thought the episode two weeks ago with Tim McGraw was one of the best yet and I learned some history I didn't know. And, yes, this is genealogy at its glorified best. The dead ends are not emphasized, only the triumphs. The nature of the show is to entertain but it also inspires. Money pays for experts in their fields. Money pays for trips to locations that aren't necessary in real genealogy work but make great visuals for television. Brooke Shields got some of the best with several European locations. Tonight should be great, too. It's Kim Cattrall and I know there is some bigamy involved. Susan Sarandon had a similar experience last season. It always amazed me how much knowledge we lose within just a few generations. And, yes, there is some folklore involved because that is how we also learn about our ancestors. Set your DVRs or watch online, but do watch if this interests you at all. I am hoping for a third season and need your help to get it!